I had a wonderful Holy Week and Easter and I hope all of you reading this did so as well! There were so many aspects of the last several days I am thankful for and made me think. One such moment of inspiration occurred on Good Friday during Stations of the Cross. 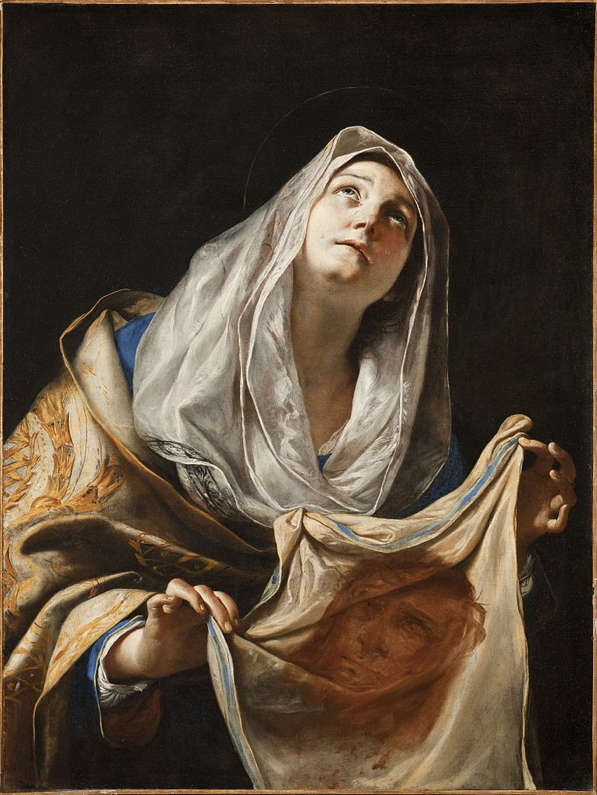 When we arrived at the 6th Station, the booklet we were using labeled the actions of Veronica wiping the face of Jesus, and then His gift of the imprint of His face on her cloth, as both spontaneous. The light bulb went off in my head. I immediately started thinking of how to make our Easter season more meaningful and more enriching spiritually. We need to be able to cultivate in ourselves a deeper spirituality so we can act spontaneously toward others. We need to be more free with our love and open ourselves up to the possibilities that arise when we interact with others. More than that we need to push ourselves out of our comfort zones so interaction with those we would normally just observe from a distance becomes possible. This Easter Season, let’s try to be more spontaneous with our generosity, our gifts and talents, and with our love. Do some things simply because the Spirit is moving within you. Ask fewer questions before moving, so your mind doesn’t place unnecessary stress on your heart. Veronica and Jesus didn’t move with their minds, but instead let their hearts become their guides. Allow the Heart of Jesus to move your heart and make this Easter Season one filled with spontaneous joy and love. Allow Jesus place on your heart His imprint for all to see!